The GS Tower is the foundation of the Fork End Ground Support tower systems. 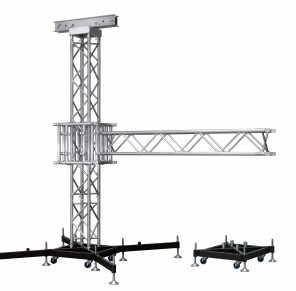 It is specifically designed as a tower truss and can be used in stand alone, goal post situation and in multiple grid situations. with fork male/female receivers to build the GS Mast Sections. sleeve blocks are available (Shown: Combi withMBX and GS). of chains used in lifting equipment.